The product claims to significantly increase moisturization, curl definition, shine and strength or your natural hair. The directions say that it can be used on wet or dry hair to increase shine and manageability. For Curls: Apply a small amount and distribute evenly. Style as usual. For Twists: Apply a generous amount to hair and distribute evenly. Water, Mineral Oil, Glycerin, Cetearyl Alcohol, Cyclotetrasiloxane, Dimethicone, PEG-100 Stearate, Glyceryl Stearate, Cetyl Alcohol, Ceteareth-20, Laneth-15, PEG/PPG-18/18 Methylparaben, Acrylates/C10-30 Alkyl Acrylate Crosspolymer, Triethanolamine, Hexyl Cinnamal, Butylphenyl Methylpropional, Limonene, Linalool, Alpha-Isomethyl Ionone, Citronellol, Hydroxyisohexyl 3-Carboxaldehyde, Ext. Violet 2 (CI 60730), Cocos Nucifera (Coconut) Oil, Butyrospermum Parkii (Shea) Butter, Persea Gratissima (Avocado) Oil. Mineral Oil is often found in most hair products because it’s used as an emollient, to help lock in moisture, reduce frizz, and enhance the formation of curls, because mineral oil is non-water soluble it doesn’t moisturize the hair but aids in sealing in water and moisture. Which doesn’t really sound too bad, but although mineral oil has some benefits I choose to avoid it because usually in products that have mineral oil, you will most likely find ingredients such as petrolatum or lanolin which can attract dirt easily, leading to excess build up. It just depends on what your hair wants/needs. I’d rather avoid the frustration especially since I like to re-hydrate my hair with water and reseal during the week. The only way I’d use this would be if wash day is right around the corner. If not I’m almost positive I’ll have unnecessary product build up. YUCK. No thank you Motions. You can keep this. Hello guys! I’m here to show and tell you guys how I layed and slayed Fancy! 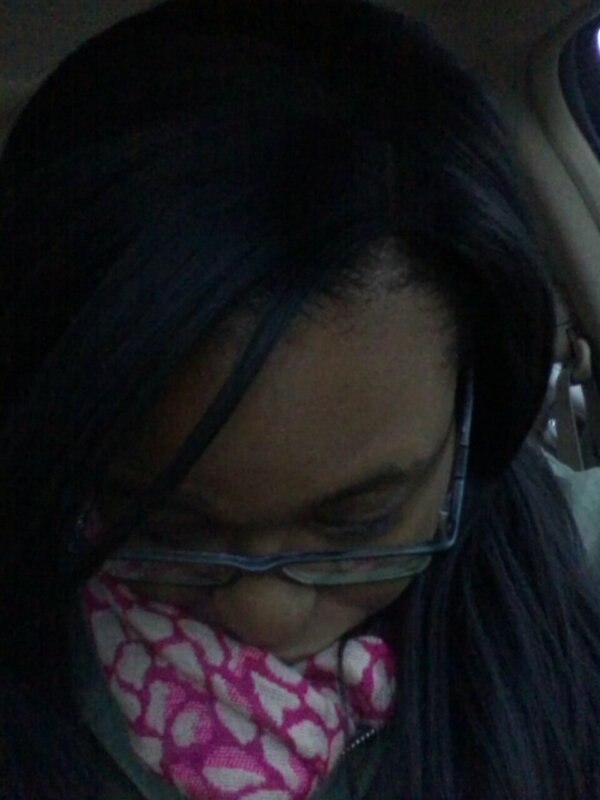 Remember how I said I couldn’t wear her without covering up my edges? Yea, I bumped that. 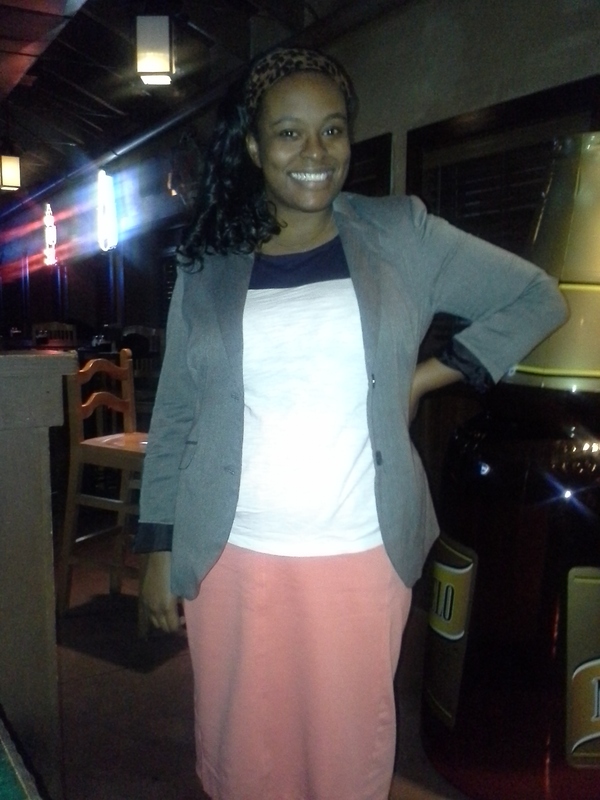 I was so determined to wear her fully out, but I could not wear her out the way she was looking. The first thing I did was widen the part. The side part wasn’t very defined. I wanted that part to look a lot more natural, so I took a tweezer and opened it up a little. It was looking better already! After that, I decided that I didn’t want to leave any edges out. This was a personal decision, so you can totally leave edges out if you want. I made sure to apply Fancy BEHIND the hairline for a more natural look. Not too far behind though, we don’t want to see naps and then silky hair. We want it to look like a natural progression. When you don’t apply lace fronts behind the hairline, they give your hairline a half moon look, and that is NOT cute, especially if you’re trying to get it to look natural. That was it! 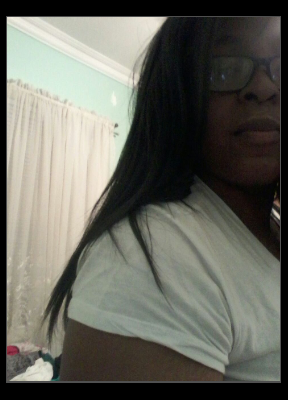 I took a flat iron to her, snatched my edges, and tied it down for about 20 minutes. Here’s my result. It’s kinda cute tied down! Here are some in better lighting. Only if you’re right up under me can you see that it’s not my scalp. 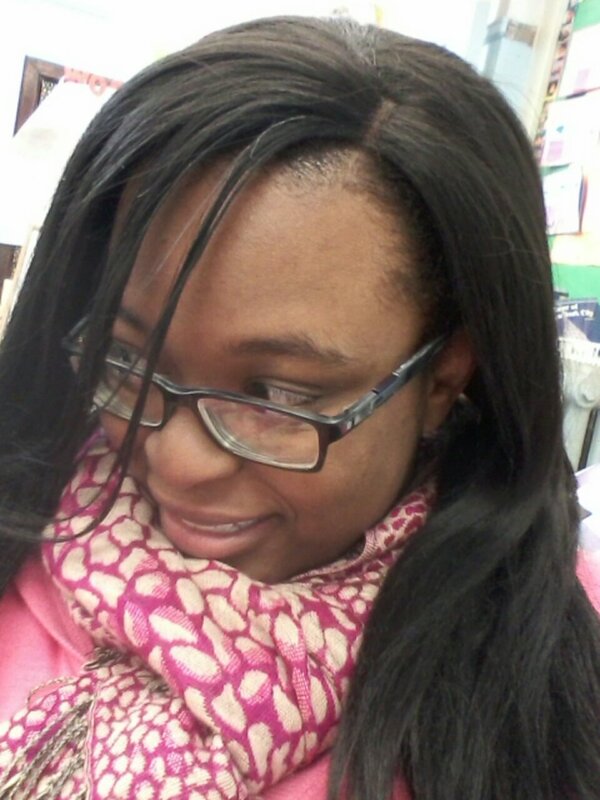 Entertainment– Detangling your hair can be an extremely boring process, at least for me it is. To make it somewhat bearable I either try to catch up on some YouTube videos, listen to music, or watch TV. This takes some of the focus off my hair and time usually seems to go a little faster. Preventing Tangles– Wear hair styles (twist outs, braid outs, or bantu knots etc…) that keep your hair either stretched or separated, as opposed to wash & go’s. This can reduce the amount of time you can spend detangling. Wet– Detangling my hair wet or damp works best for me and I only need to do it twice a week. Once mid week and again on wash day. Before I wash my hair I separate my hair in 4 sections. Two in the front and two in the back. Each spritzed with water and a little conditioner for slip. I use my wide tooth shower comb and work with my hair from ends to roots. Once they are fully detangled, I twist up my hair and proceed with washing. If I’m not washing my hair I simply skip the conditioner and just use my moisturizer and water. Dry– This works best if your hair is already stretched, add a little bit of oil this will help the knots loosen up. I’ve said it before and I’ll say it again, regardless of which technique you decide to use remember to WORK IN SECTIONS. Finger Detangling– This isn’t my favorite tool to use. I prefer to use my wide tooth comb just because using my fingers seems to take a lot of time, but it also saves some strands. I guess it depends on how much patience you have. 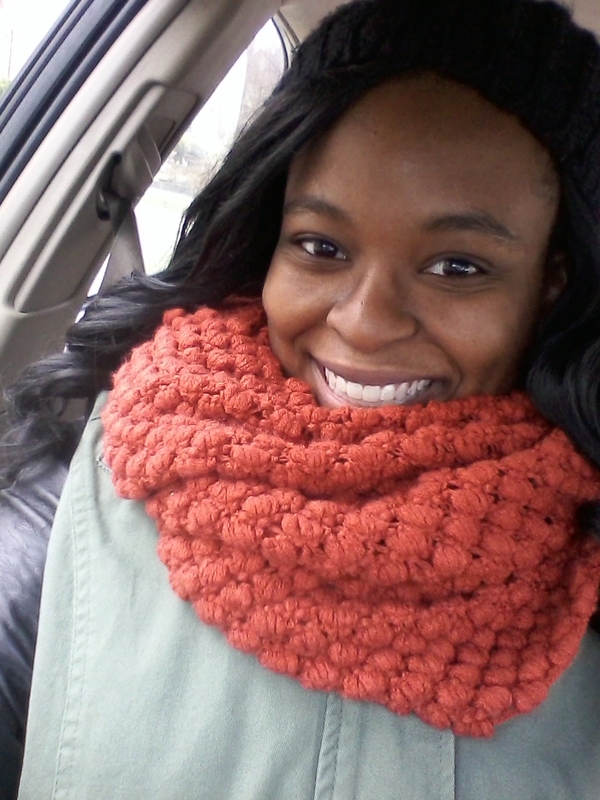 Due to the change in weather, I’ve changed a couple of things in my routine. 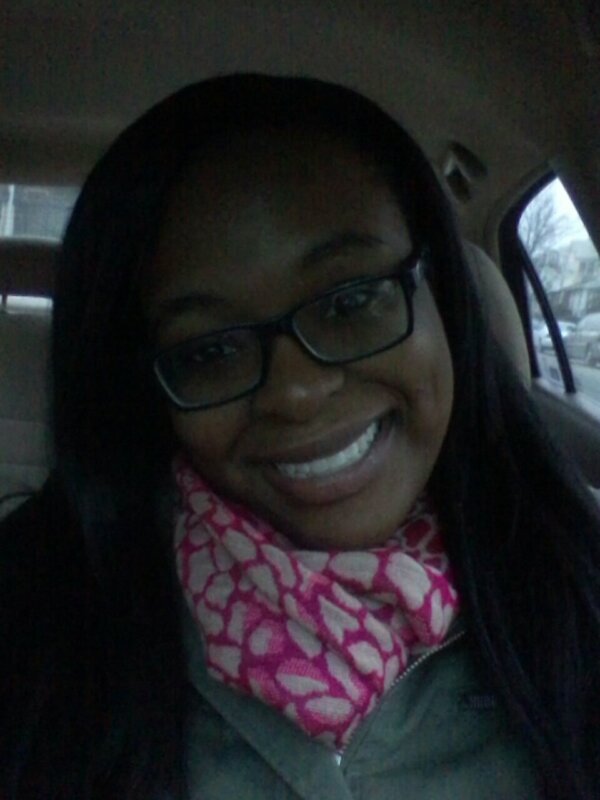 In this post, you’ll read my comprehensive winter 2014 hair regimen. I always do an apple cider vinegar rinse before every wash. It works to clarify my scalp and also lift up all the prepare and prepare to wash it away during cleansing. It also does a great job at calming down my scalp. Yes, I deep condition before cleansing. Not for any specific reason, it just makes things easier for me. I usually whip up on my own deep conditioner, using my rinse out conditioner as a base and adding oils, mayonnaise, honey, or Greek yogurt. I leave that in for about an hour, and I try to leave it in for the same time every week. I should mention that the ACV is still in my hair while doing this. Every month, I do a protein treatment. I whip up my own with eggs, mayo, honey, and/or Greek yogurt. I apply that to my hair really thoroughly and I try to leave it in until my roots get hard. At this point in my hair life, I’m not too concerned about the shampoo that I use. My only concern is that it does its job in cleansing my hair and scalp. I shampoo in four sections to make it easier for myself. for right now, I’m using Tresemme shampoo and conditioner. I go under the shower stream and rinse out my deep conditioner/protein treatment. After that, I shampoo section by section. After cleansing, I go through my hair with a rinse out conditioner and finger detangle. I twist my hair up with the conditioner in it and continue my shower. After my shower, I rinse the conditioner out. After the conditioner is out, I squeeze my hair lightly in the shower to get some water out. After that, I wrap a cotton t-shirt over my head to dry out all the excess water. I leave that on anywhere from 15 minutes to an hour, depending on how I’m feeling that day. While my hair is still in sections, I remove the towel and apply my leave in conditioner of choice. At the moment, I’m using Creme of Nature’s 7 in 1 leave in. I make sure I get it in real good, and apply about three pumps to each section. I find that in the winter months, my scalp really is inflamed sometimes. To combat that, I’ll oil my scalp lightly with oil. At the moment, I’m using olive oil, but I can also use other oils, including tea tree, jamaican castor, etc. After all that, I seal my hair(shaft and ends) with shea butter for that extra boost of moisture and to keep it encapsulated. 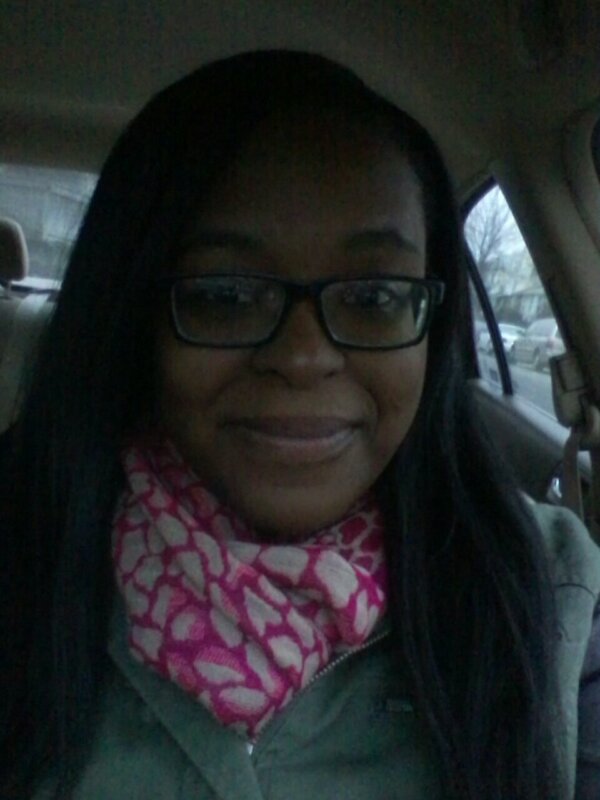 There you have it, my winter 2014 hair regimen! 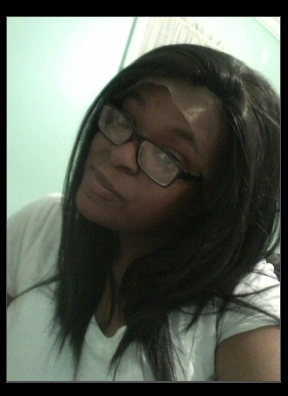 FANCY, MY FIRST LACE FRONT! I bought her from an online site based in China, http://www.aliexpress.com. She was $27.99 and took two weeks to get here with free shipping. 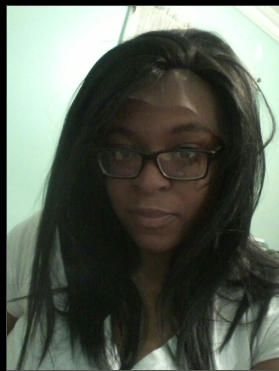 She’s a lace front (as mentioned), and she’s 16 inches in 1B. She’s synthetic. I was kind of scared of going long like that, but I figured, why not?! It’s a new year! She came packed in a really small box. (Seriously, how did they get her in there?!) I opened the box and took her out of a plastic bag. She had a tag on her with the specs of the hair and lace attached from ear to ear. She looked pretty good, except for the lace. So I cut the lace off–CAREFULLY! She looked awesome, and I was so excited! I was sooooo beyond excited to wear her, so on my next wash day, I braided up my hair and left my edges out to blend. BUT (insert brakes screeching) my edges did not blend. Well, to MY liking anyway. The thing with Fancy is that is seems to me that you need tape of glue to hold her down and be a true lace front, with none of your hair exposed, which is strange because she came with four combs attached. ANYWAY! I wasn’t gonna let that stop me! 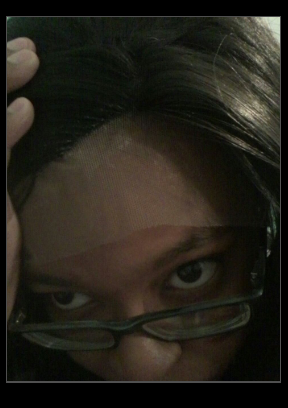 To me, it was just more protection for my edges while I continued to look fabulous! I started to wonder how she would look curly, and if I could get more than a straight style from her, so I curled her. Taking into account that the website said not to apply heat more than 200 degrees to her, I curled very carefully. I started with the lowest setting and then when that wouldn’t take, I went higher until it would. AND it didn’t burn–GLORY BE! After curling her with my 1 inch curling iron, I realized I didn’t want Shirley Temple curls. The look that I was going for was more of a body wave. Think soft, beautiful, flowy curls. 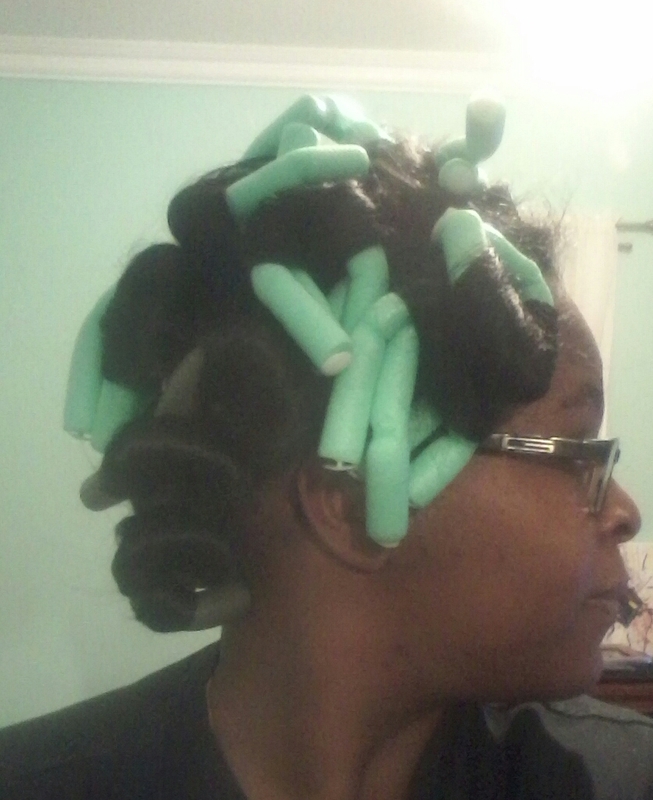 So after curling the hair and holding the curl (VERY IMPORTANT), I set the curls on flexi rods overnight. I only had about 6 of the gray ones, and the rest were skinny green ones. 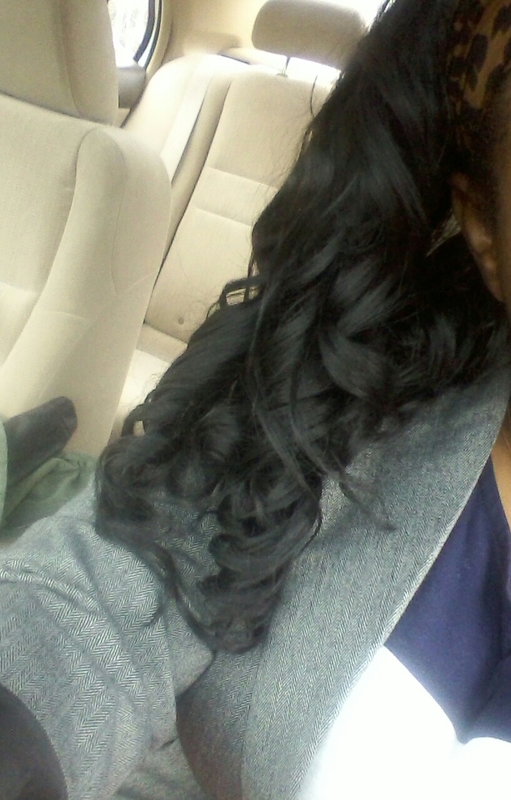 I didn’t want skinny curls so I set one curl on TWO green flexi rods. I covered it up with a bonnet and went to bed! 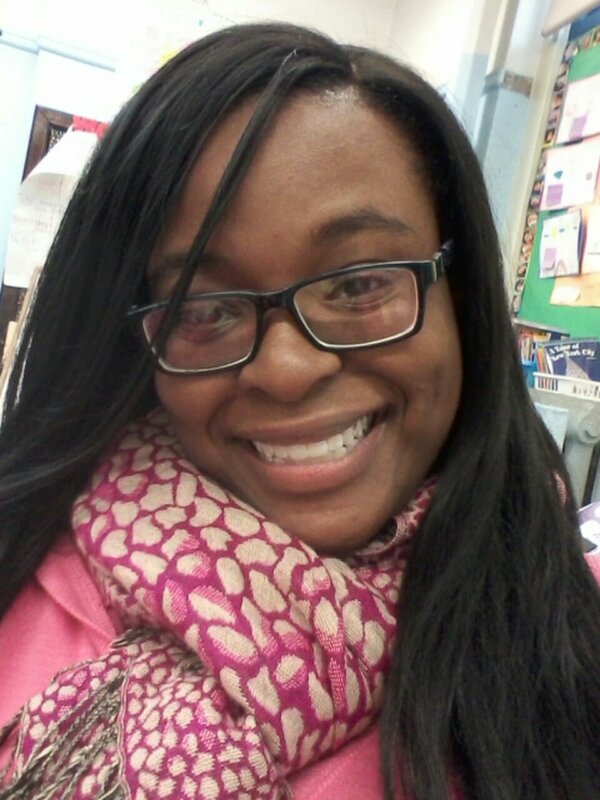 When I took them out the next day, I finger combed the curls a little bit, put a fierce leopard head scarf on, and walked out of the door whipping it! (Not really because it was raining and I was wearing heels, but you get the picture!) 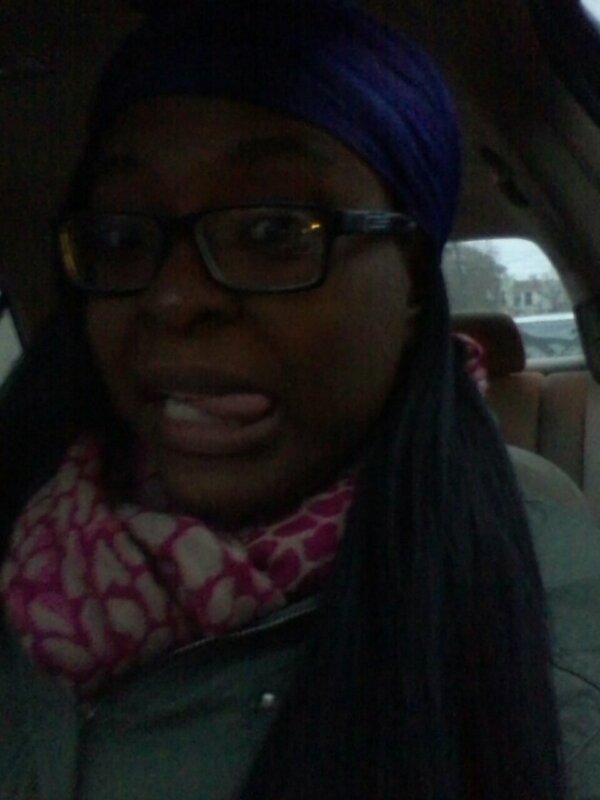 Couldn’t nobody tell me NOTHINNNNNNNNNN!!!! That night, I pin curled the soft, luxurious curls and went to sleep. 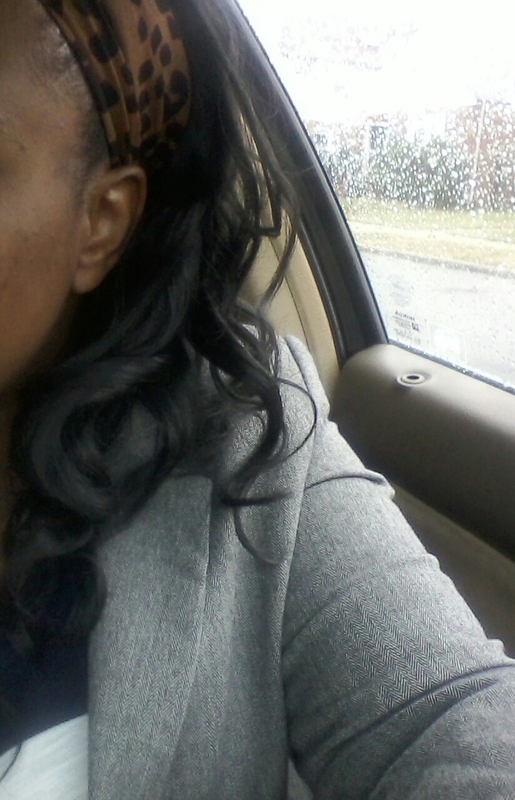 (I took it off though LOL) The next day I undid the pin curls and left the house. Here’s how it looked. I foresee a long life for Fancy!! A very long one! Maybe I’ll go longer next time, seeing as I like whippin’ it so much! My only bad thing that I have to say about this wig is that doesn’t allow me to wear it without something covering my edges. Whomp whomp. Oh well. Still fierce and fabulous! Get The BOMB Twist Out Featuring Shea Butter!!! I am coming to you today with a product review/pic comparison.So, I’ve been getting the BOMB twist outs with this shea butter, y’all. I’ve been using shea butter since a couple of weeks ago, when I started sealing with it instead of oil, due to FusionofCultures advice. 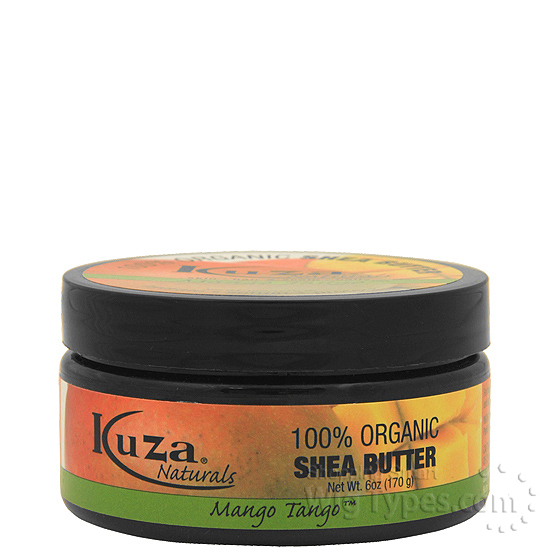 This is the shea butter that I’m currently using. I picked it up from my local BSS for around seven dollars and it’s been showing itself worth every penny so far. After washing and applying my leave in conditioner, I apply this instead of my usual olive oil. It’s 100% organic, but to be real with y’all, I bought it because it smells so yummy. It’s easy to spread anywhere on the body that you need it. I have used it on my body before, but I primarily use it on my hair. 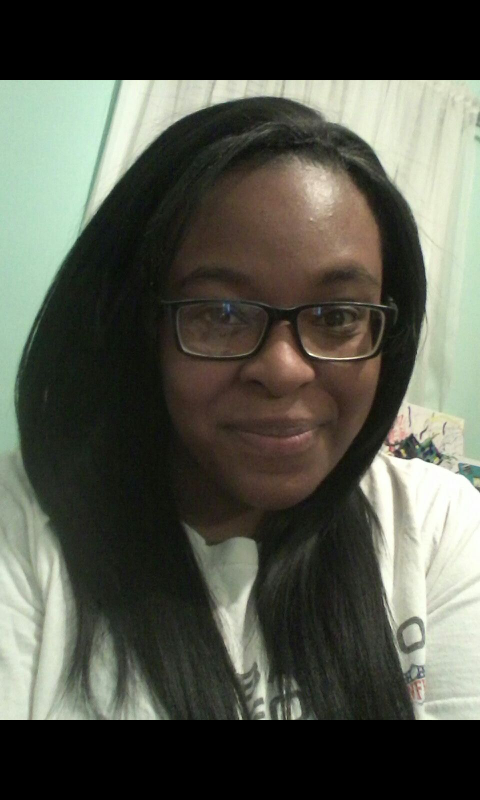 I LOVE the way this shea butter makes my hair feel. After applying this butter, my hair feels very conditioned and moisturized. It packs a moisture punch, but it’s not heavy on my hair at all. When using this butter on a twist out, my hair ended up more fluffy, more voluminous, and smelling amazing! 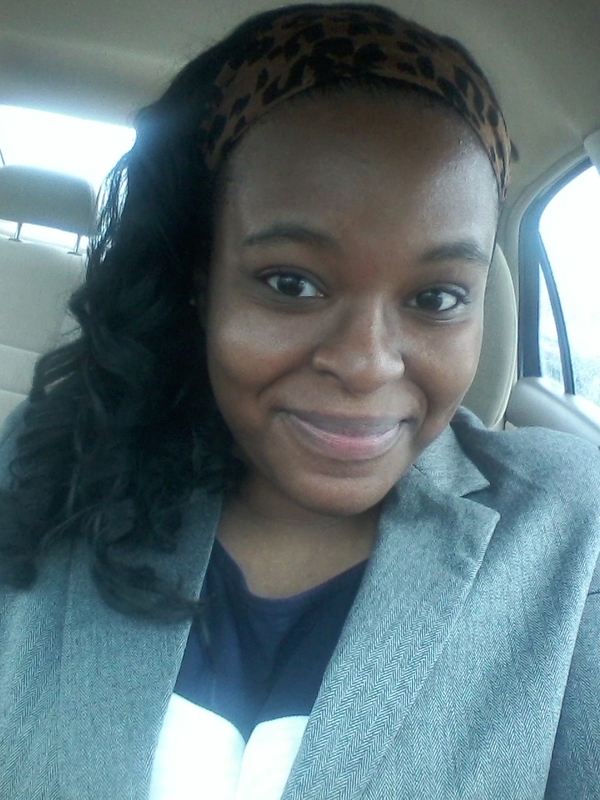 Today I’m going to talk about how important it is to have a simple hair regimen. I don’t know about you but by the time the end of the week rolls around, my hair is past the point of no return, and I’m looking a hot mess, it’s time to buckle down and get ready for the long wash day ahead of me. Dun. Dun. Dun. Despite just being lazy some people are just busy and can’t spend all the time in the world on their hair, which is totally understandable. & let’s face it natural hair can be a little overwhelming at times. When I get overwhelmed I just won’t do it. I realize the more frustrated I get with my hair the less gentle I am on it, which leads to unnecessary breakage. The less complicated your hair regimen and the less steps it has, the more likely you are to complete it. Try figure out your basic needs, those products you just can’t go without. Mine are my shampoo, conditioner, leave in, moisturizer, sealant, & styler. After figure out what works for you and what doesn’t. The more extensive your hair products are, the harder it is to figure out what is actually working for your hair type. This could even possibly save you some money in the long run. I’m all for trying new products from time to time. Sometimes your hair just needs a product switch up, but nevertheless is always important to have your arsenal of favorite products. The ones you know for a fact work for you without fail.